Straight out of bed or just got in from the beach? Whatever your style is, get the undone look with our Texture & Tousle range. The range consists of a shampoo and styling products to get a textured look with natural movement. Our Sea Salt Texturising Spray is perfect for any matte textured looks. Defines & separates to create tousled texture and light hold without a crunchy feel. Spray evenly over damp or dry hair to create rough texture and tousled waves. Finish with Tousled Texture Creation Hairspray to hold your look in place. This product defines & separates to create tousled texture and light hold without a crunchy feel. It's the perfect product for that beach look. Ready for some texture? Shake can and spray on damp or dry hair from root to tip. Leave to set and work with fingers to create long lasting texture. Finish with Tousled Texture Creation Hairspray to hold your look in place. With more than 485 salons across 48 countries, CEO, OBE and co-founder Toni Mascolo and his brother Guy started TONI&GUY back in 1963 with a single salon in Clapham, London. HAIR - FASHION - HERITAGE. TONI&GUY celebrates 50 years of hairdressing excellence, providing an opportunity to embrace and celebrate the unique heritage that it has cultivated. With an eye firmly on the future, TONI&GUY continues to take on exciting new challenges and collaborations. Born and bred in London, the collection of hair care and styling products is inspired by backstage know-how, to help you create your look from the hair down. Aqua (Water), Sodium Chloride, Glycerin, Polyquaternium-11, Peg-40 Hydrogenated Castor Oil, Disodium Edta, Parfum (Fragrance), Caprylyl Glycol, Dmdm Hydantoin, Phenoxyethanol, Alpha-Isomethyl Ionone, Benzyl Alcohol, Benzyl Salicylate, Butylphenyl Methylpropional, Citral, Citronellol, Coumarin, Geraniol, Hexyl Cinnamal, Hydroxycitronellal, Limonene, Linalool. Has a lovely fresh fragrance however it made my hair look messy. It was left feeling very sticky and extremely hard to manage. Maybe sea salt sprays just aren't for me! As far as sea salt sprays go, I was really expecting a lot from this bottle because of its extraordinary reviews however it disappointed me quite a bit. That's not to say that it's not good but it wasn't the amazing product I expected it to be. Love the texture of my hair. It feels like I just popped out of the sea and naturally dried my hair! Doesn't dry out or make your scalp oily too. This product provides the perfect tousled beach wave in a convenient bottle. 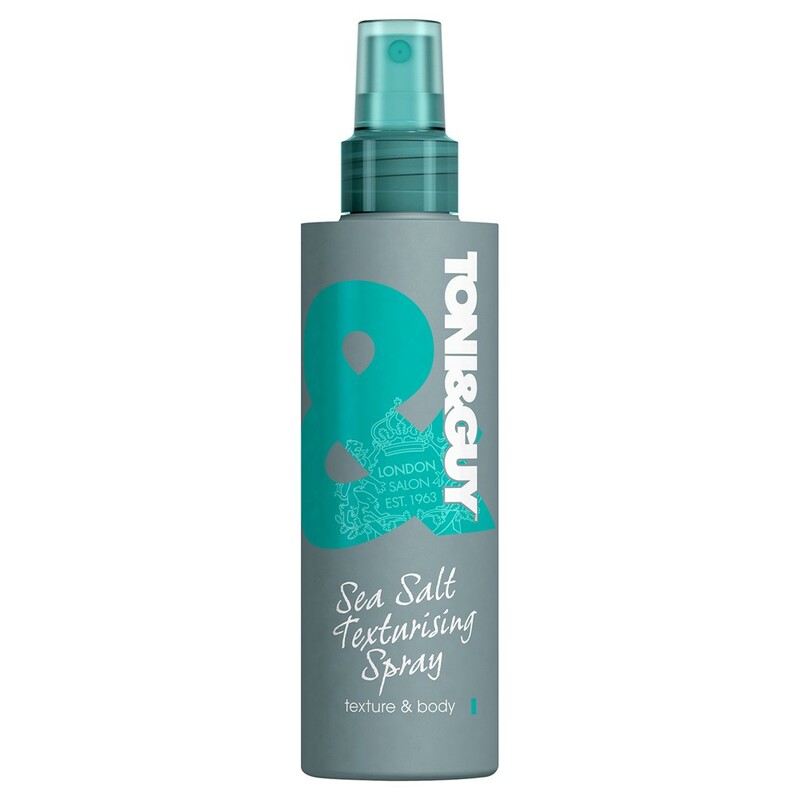 This sea salt spray is one of the best I have tried on my thin hair, it holds nicely and if sprayed correctly, does not leave a 'crunchy' feeling in your hair.